OER can include full courses, textbooks, or any instructional materials including images, videos, or documents associated with teaching and learning. It is estimated that there are now more than 1.4 billion works licensed under various creative commons licenses (State of the Commons, 2017). For example, Wikimedia, whose most well-known project is the free online encyclopedia, Wikipedia, uses a Creative Commons Attribution-ShareAlike license for its online content. The growing collection of openly licensed works, whether digital or not, is referred to as The Commons. Now that you know there are over a billion openly licensed materials available on the web, how do you go about finding the right ones for your needs? 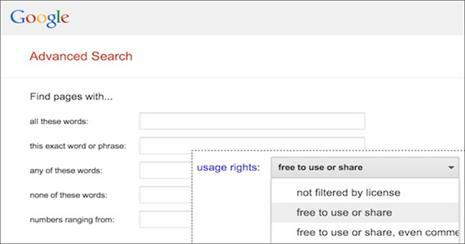 You can find OER by using search engines, or by searching or browsing the OER repositories listed below. Watch this video by Amy Hofer, Statewide Open Education Library Services Coordinator, Open Oregon, to learn how to save time searching so you can spend more time redesigning your course to use open materials. Remember that an open license gives you many possible ways to legally re-purpose the materials you find. Searching an OER Repository can result in a faster and more productive search experience since the resources have been curated and organized into various categories including discipline, format, and license type. Most repositories have either peer reviews or a rating scale where users have shared their perception of or experience using the resource. Watch our archived webinars on this topic for additional information on finding OER or sign up for our community email list to post a question to the community.